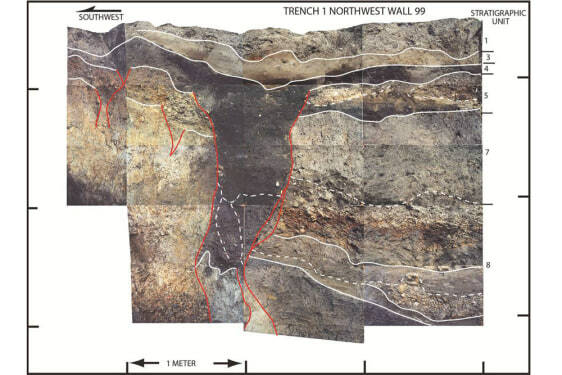 Photo-mosaic of the northwest wall of a trench across the San Andreas Fault in Mill Canyon near Watsonville, Calif. The photo shows contacts between layers of sediment (white lines) and fault traces (red lines). The dominant, dark gray-colored feature is a large fissure that formed as a result of faulting during an earthquake, most likely in 1838.